What if You Suspect a Violation in Your Non-Compete Agreement? In today’s extremely competitive business world, more and more employers are requiring their employees to sign a variation of a non-compete agreement. This is an agreement between the business and the employee that restricts where the employee can work for a certain period of time when the employment is terminated. The employee typically agrees to not join a competitor of the firm for a specified duration of time. The agreement usually also prohibits soliciting past clients or revealing trade secrets. 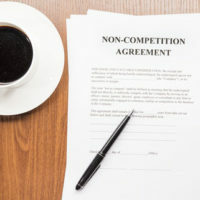 While non-compete agreements are an integral part of protecting the foundation of a company, exactly how the agreements are enforced is often murky. Should you believe your non-compete agreement has been violated, it is best to reach out to an experienced Florida business litigation attorney. Review your non-compete agreement and understand the specifics of the document. Investigate any potential violation of your non-compete agreement, including interviewing witnesses with knowledge of the relevant facts. Decide on a course of action if the investigation reveals that a violation has occurred. One option would be to send a cease and desist letter notifying the employee and the employee’s new employer of the violation. You may also want to consider seeking injunctive relief. The primary purpose of an injunction is to prevent the employee from continuing in the employment which constitutes the violation of the non-compete agreement. If you have suffered financial harm because of the employee’s breach, you would also be entitled to a monetary award in a court proceeding. Lastly you and your attorney should take a detailed look at your current non-compete agreement and identify ways to enhance the document. There are always ways to strengthen the agreement and ensure better future enforceability. The reality is that you may not be able to enforce your non-compete agreement. This can be due to changing state laws or varying industry regulations that make these agreements difficult to uphold. Thus, it is critical that you actively work with a knowledgeable business litigation lawyer to ensure that your document complies with current legal standards. Unfortunately, a simple issue can derail the entire agreement and put your company at risk. At Moran, Sanchy & Associates we understand the severity of the risks you face and our dedicated Sarasota business litigation team is committed to protecting your business from these threats. If you are in need of assistance, call our team at 941-366-1800 for a confidential case evaluation.